On 21 February 1913, the first Islamic prayer was performed in the Grand Mosque in Saint-Petersburg, Russia. Then-the only mosque in Russia’s northern capital was solemnly opened for public the next day. 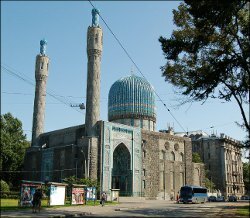 The mosque was built in the Samarkand style of the Tamerlane times’ architecture and it is very well known throughout Russia. A lot of information is available on it online, and particularly on the website of the Saint-Petersburg Spiritual Affairs Directorate. However, two emirs from Bukhara, who were directly involved in the mosque establishment and construction, are rarely heard of. Why “two emirs?” Because Emir Said Abdul Akhad Khan, who ruled between 1885 and 1910, initiated the construction of the mosque in 1910, and it was completed and opened by his son, Said Mir Muhammad Alim Khan, the last Bukharan Emir who ruled until being toppled by the Bolsheviks in 1920. We wish to convey the stories of these two emirs. 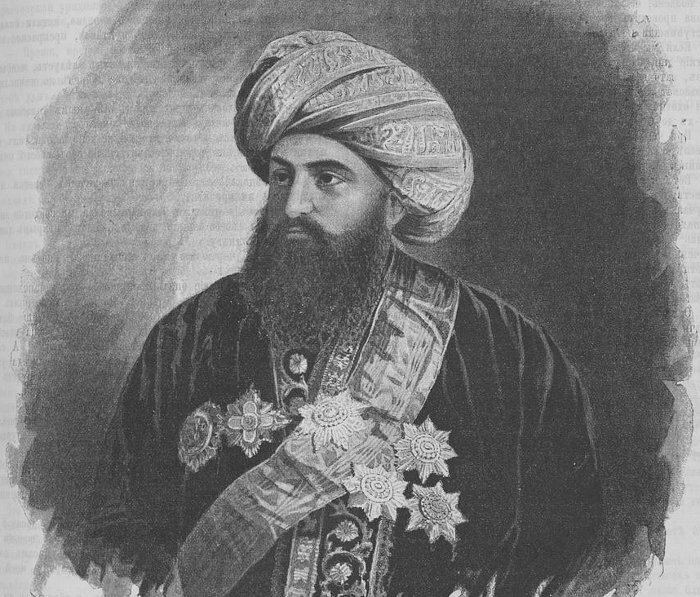 Emir Said Abdul Akhad Khan was declared emir in 1885. The Emperor of Russia decreed he is conferred the rank of a general-adjutant and a cavalry general. It was Emir Abdul Akhad who convinced Czar Nicholas II in 1906 to “grant the Muslims of Petersburg a land lot” so they would construct a temple and pray for the Emperor’s health. When the permission was granted, the Emir allocated 312,000 roubles – other information suggests 450,000 roubles – to purchase the land, which was an astronomic amount of money for the time. For comparison, the construction was estimated to cost 500,000 roubles. 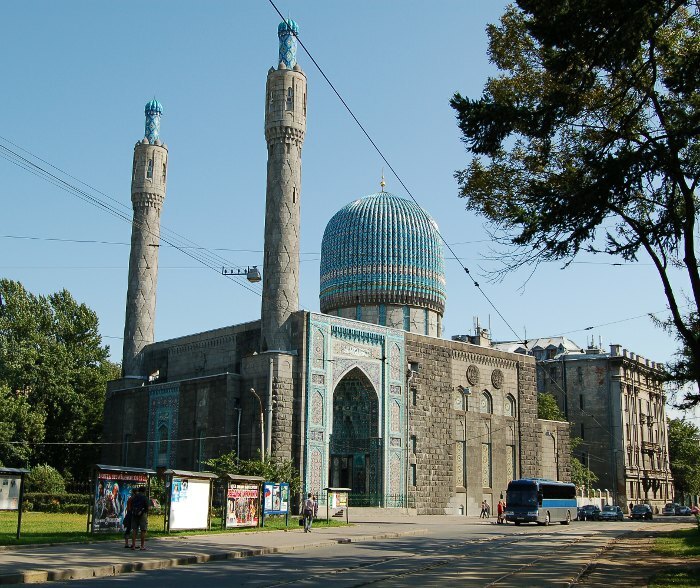 The Emir’s opinion was also crucial in the choice of the mosque’s future location: he insisted the Muslim house of worship would be erected at the intersection of Kronverskiy Boulevard and Konniy Avenue – near the imperial family’s shrine and the Troitskiy Cathedral. “The Emir, who is wholeheartedly loyal to the House of King, not only deems it efficient, but also believes that the new place of worshipping One God near Christian holy sites will prove good neighborhoods [presumably advisable],” he wrote in his appeal to the Czar. 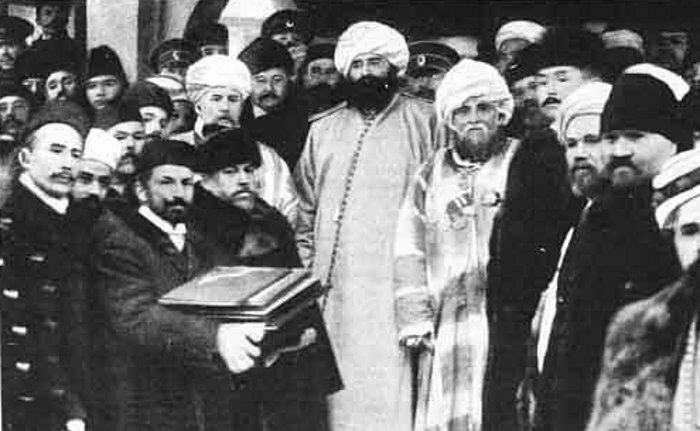 In response to the Bukhara emir’s amiability and attention, the authorities of Saint Petersburg and Muslims of Russia have planned the inception of construction so it coincided with the 25th anniversary of Emir’s ruling, as documented in the Niva magazine in the issue No 8 in 1910. “On third day of February, Muslims living in our capital had a big event: the solemn inception of construction of the first mosque. There are several thousands of Tatars and other believers in the Mohammedan faith in Petersburg, who had not had their own temple and were forced to lease private premises. For many years they have been dreaming about having a mosque but were unable to realize the dream because they did not have sufficient funds for purchasing a land lot and construct a building on it. […] And only a generous gift on part of the Emir of Bukhara, currently in Petersburg, has [contributed] to the progress of the matter and granted the Mohammedans of Petersburg an opportunity to establish a mosque that would befit the capital. 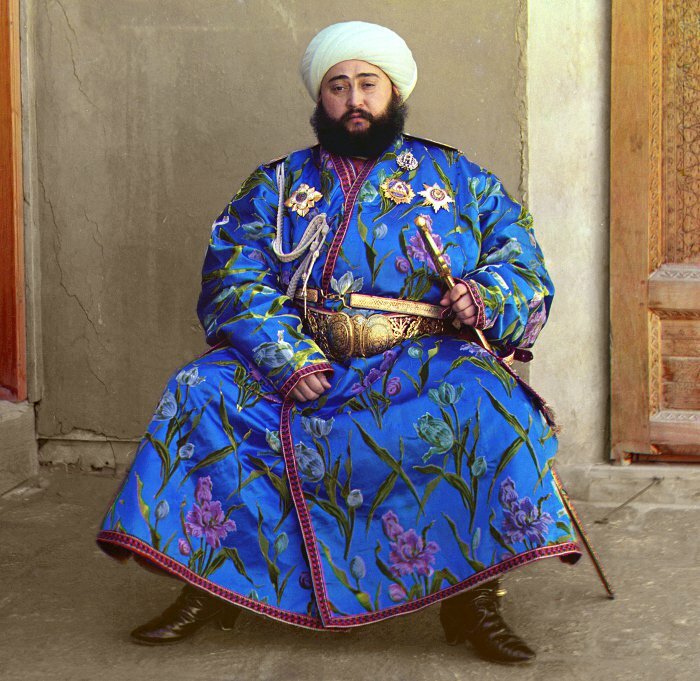 Who was this Emir of Bukhara, this ruler in a remote province of the Russian Empire, whom the Emperor granted the title of “His Highness?” While he should not be idealized, his contemporaries’ accounts suggest that Emir Abdul-Akhad Khan’s style of ruling was sufficiently different from that of his predecessors. Emir Abdul-Akhad Khan unexpectedly died nine months after the solemn inception of the mosque’s construction. So the first prayers in the mosque were offered in the presence of his son, Emir of Bukhara Said Alim Khan, who has arrived in Saint Petersburg to celebrate the tercentennial anniversary of the Imperial House of Romanovs. Stories have it that during his visits to Saint Petersburg, Emir Said Alim Khan prayed in the mosque his father put a lot of effort into, as much as he could.